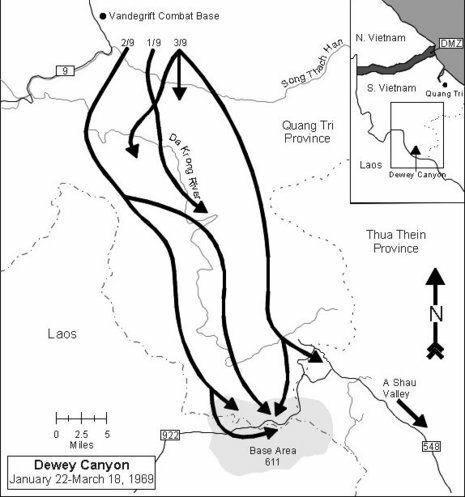 Operation Dewey Canyon was the last major offensive by the United States Marine Corps during the Vietnam War. 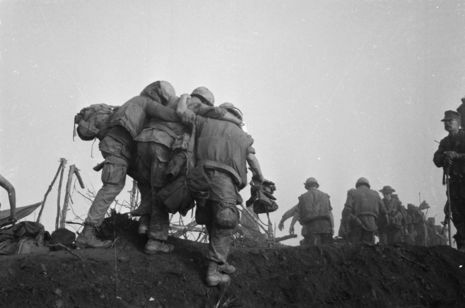 It took place from January 22 through March 18, 1969 and involved a sweep of the North Vietnamese Army (NVA)-dominated A Shau Valley by the 9th Marine Regiment reinforced by elements of the 3rd Marine Regiment. The 56 days of combat were a tactical success but did not stop the overall flow of North Vietnamese men and matériel into South Vietnam. The 9th Marine Regiment and attached units were awarded the Army Presidential Unit Citation for their actions in Operation Dewey Canyon. Prior to the launching of the operation, U.S. Marine infantry units in the northern I Corps region had been tied to their combat bases along the South Vietnam border as part of the McNamara Line. This "line" was a combination of infantry units and ground sensors devised to stop North Vietnamese infiltration into South Vietnam along the Ho Chi Minh Trail. When Lt. Gen. Raymond G. Davis took command of the 3rd Marine Division, he ordered Marine units to move out of their combat bases and engage the enemy. He had noted that the manning of the bases and the defensive posture they developed was contrary to the aggressive style of fighting that Marines favor. 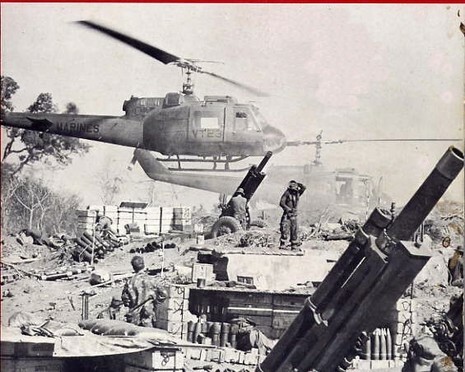 In early 1969, intelligence reports indicated that there had been a large NVA build-up in the A Shau Valley. The A Shau was just 6 miles (10 km) east of the Laotian border and some 21 miles (34 km) long. Based on this intelligence, Col. Robert H. Barrow's 9th Marine Regiment was ordered to depart Vandegrift Combat Base some 50 miles (80 km) to the east and sweep west to deny use of the valley to the enemy. 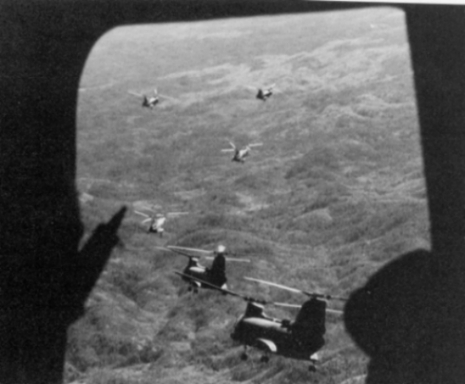 Operation Dewey Canyon was divided into three parts: 1) the movement and positioning of air assets, 2) the movement of the 9th Marines south out of their combat base, and 3) the sweep of the A Shau valley. As the 9th Marines moved towards the A Shau valley, they established numerous firebases along the way which would provide them their artillery support once they entered the valley and guard their main supply route. All of these bases needed to be resupplied by helicopter due to their distance from the main combat bases and because resupply via ground was very difficult during monsoon season.